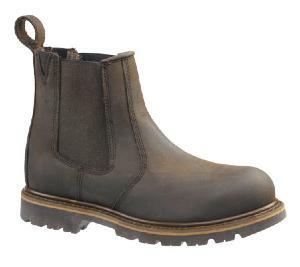 Hoggs Of Fife Shire-NSD Non Safety Boots have been specially developed to withstand the rigours of professional country life, the farmers favourite sturdy dealer boots. Goodyear welted, using full grain leather uppers. Taibrelle textile insulating lining which allows feet to breathe while wicking away moisture. 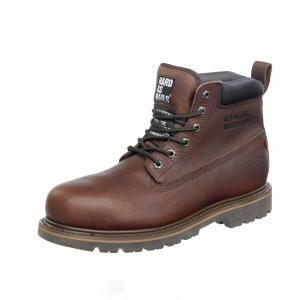 Hard wearing oil-resistant, cleated rubber soles with excellent grip properties. Out-soles are double stitched in the toe area for superior build quality. Pull on tabs at both the front and the rear of collar for ease of use. Made to a wide fit. 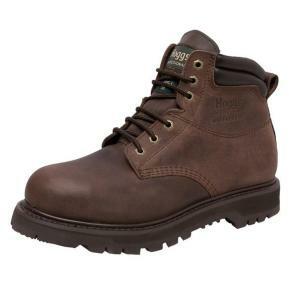 Hoggs Of Fife Jason-WNSL Non Safety Boots a popular lace-up boot specially developed to withstand the rigours of professional country life. Waterproof and breathable. 4-eyelets and 2 lacing hooks for easy lace tension adjustment. Goodyear welted, using full grain leather uppers. Taibrelle textile insulating lining which allows feet to breathe while wicking away moisture. Hard wearing oil resistant cleated rubber soles. Excellent grip properties. Our soles are double stitched in the toe area for superior build quality. 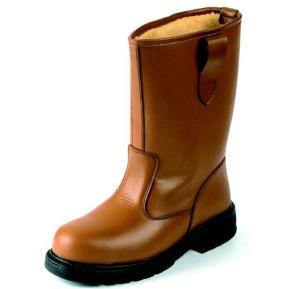 Hoggs Of Fife Tempest-SD Mid-Weight Safety Boots are the top selling safety-toe dealer boot to the UK Agricultural community. 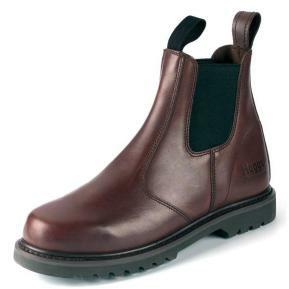 A stylish work wear safety boot with all the quality you would expect from Hoggs Of Fife. CE EN 345-1 SB tested to give 200 joules toe protection. 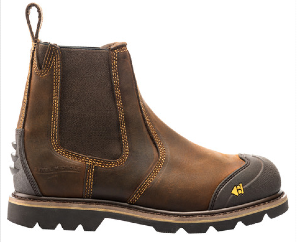 20% lighter than premier safety boots. Pull on style with elasticated gussets. Full-grain leather uppers. Two sturdy pull-on tabs for ease of use. Unique grip-lite pro oil-resistant rubber out sole with non-marking tread. EVA mid-sole for reduced weight and exceptional shock-absorbancy. 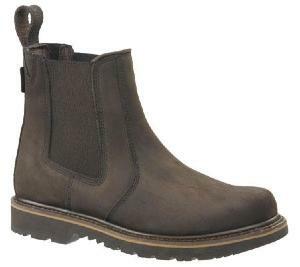 Superior good year welted construction with double stitched sole in toe area. 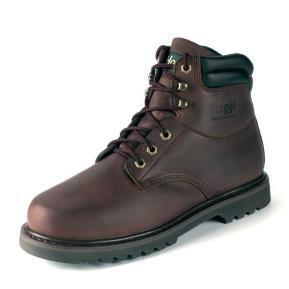 Hoggs Of Fife Tornado - WSL Mid-Weight Safety Boots are a fully waterproof and breathable boot giving great value for money and with all the quality and durability you would expect from Hoggs Of Fife. CE EN 345-1 SB tested to give 200 joules toe protection. 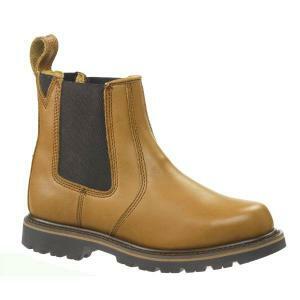 Superior Goodyear welted constructionwith double-stitched sole in toe area. EVA mid sole for reduced weight and exceptional shock-absorbancy. Unique grip-lite pro oil-resistant rubber outsole with non-marking tread. Sturdy rear pull-on tab for ease of use. Cut-away padded collar for superior wearer comfort. Fully waterproof and breathable membrane. Full-grain leather uppers. 6-eyelet lace-up style with easy-bend flex notch. 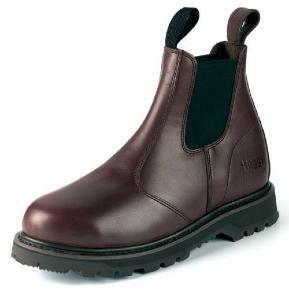 Chocolate oil leather dealer boot that has the Buckler K10 sole. It brings together the most desirable aspects of the K2 and K8 soles providing a high grip lightweight dual element sole with a chunky tread. Steel Toecap. Steel Mid Sole.